These images of finished View our entire pool pavers range projects have been selected from our View more from our pool pavers image gallery to help give you paving ideas for around your new swimming pool or renovation. 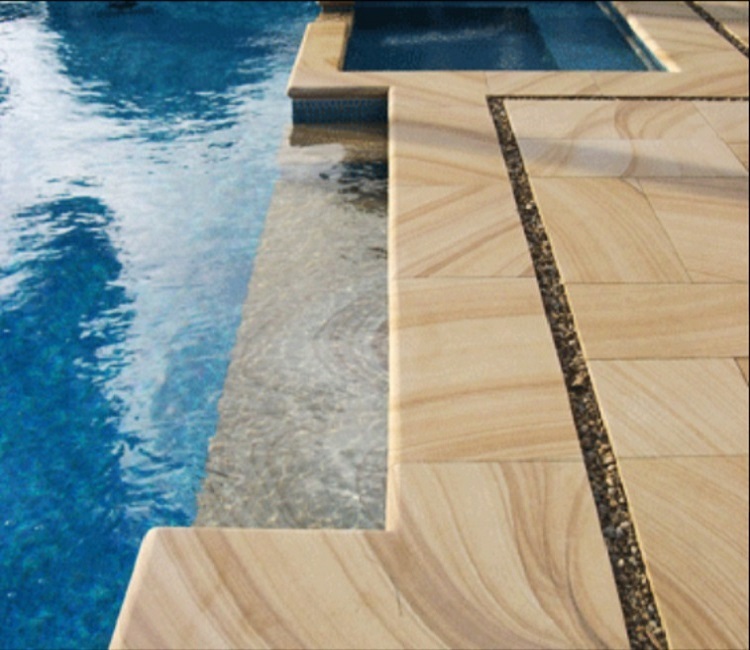 This Melbourne pool renovation was carried out by Steve and his team of pool tilers and stonemasons. 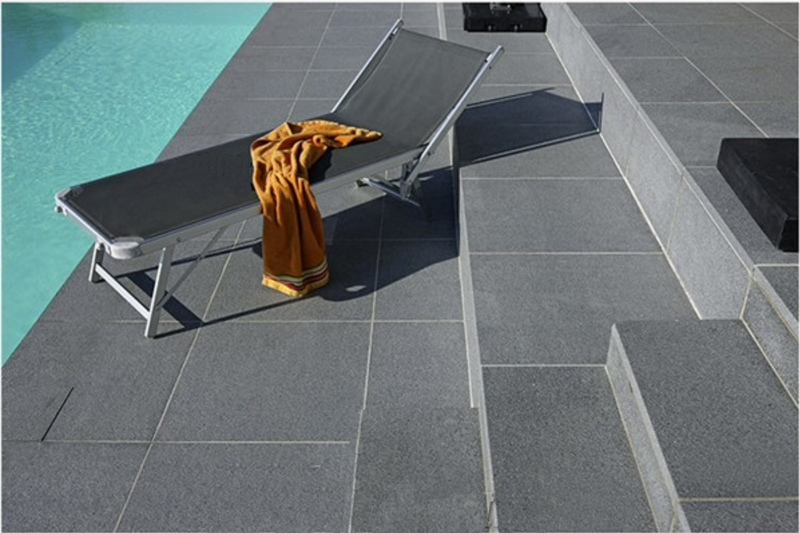 They used genuine HARKAWAY BLUESTONE drop face pool coping ( 100mm drop face) along with exfoliated or flamed white granite pavers for paving around the swimming pool and also on the alfresco area.